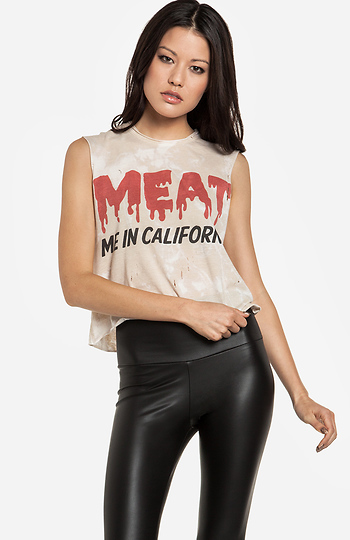 Lightweight tank featuring "MEAT ME IN CALIFORNIA" printed on front, two-tone beige and white hue, slight distressing, extra long arm holes and raw edges. By The Laundry Room. Model Measurements: Height: 5'8 / Bust: 32A / Waist: 24 in. / Hip: 34 in.